Yes, you read that right. 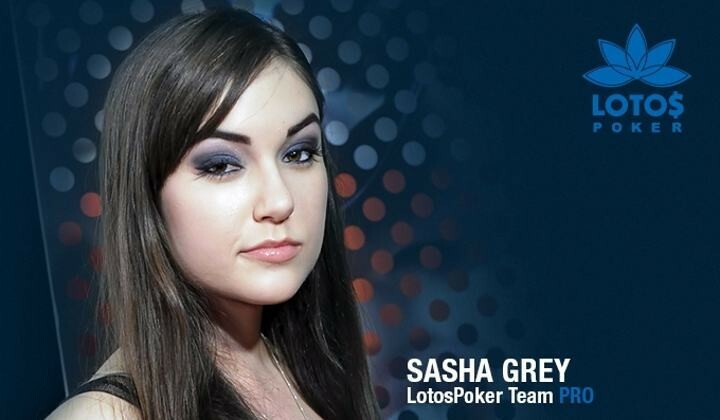 Sasha Grey, famous for her adult film career, is now a Team Pro for Russian online poker room LotosPoker according to a report by our friends at Pokeroff. Players on the site will even get a chance to win a date with Sasha during a promotion later this month, according to Dmitry Bodrov of LotosPoker. This isn’t the first time a pornstar has represented an online poker room. As we found in the archives at WickedChopsPoker, back in 2010, the now defunct UB.net sponsored Adult film actress Samantha Ryan during the World Series of Poker. Ok, we admit that some April Fools stories can be pretty lame. I mean, c’mon, we aren’t doing one. But that doesn’t mean we shouldn’t recognize the efforts of those that are applying their creative muscle, and while the number of April Fools stories in poker have diminished over the years, there are still a couple out there (literally 2 that we found). So here they are! Check out CardPlayerLifestyle.com with their creative story that throws some shots at Phil Hellmuth (who doesn’t enjoy that?!?) and the Global Poker Index’s Alex Dreyfus. And for you Phil Ivey fans, here is one by his own personal poker mag All In which reports that Ivey will referee the Floyd Mayweather vs. Manny Pacquiao match. If you come across any others, be sure to let us know! Emceed by the Poker Brat himself, Phil Hellmuth, Tiger Woods will be hosting his fourth-annual charity poker event at the MGM Grand Hotel & Casino in Las Vegas on May 15. Woods and Hellmuth will be joined by poker greats such as Doyle Brunson, WPT host and Poker Hall of Famer Mike Sexton, Daniel Negreanu, Antonio Esfandiari and others. The WPT cameras will be on hand filming an episode, so if you want in on the action, contact Jason Andrea at (949) 725-3003 or email [email protected].